Rajiv Kumar said there are a large number of areas which have seen substantial increase in employment opportunities, though they may not be in organised and formal sector. NEW DELHI: Niti Aayog Vice Chairman Rajiv Kumar today said the time has come for consolidation of reforms, including GST, bankruptcy code and benami law, initiated by the Modi government in the last 42 months to ensure that the steps deliver the "desired fruits". The new initiatives in the next 18 months, Kumar said, should focus on health and education sectors as these two are going to be critical for human resource development. "You know Modi government has done far too much in those 42 months, it has taken some very major steps. My view is that time has come for consolidation and making sure that these reform steps which have been taken yield the desired fruits," he told PTI in an interview. The Narendra Modi-led NDA government came to power in May 2014 and the next general elections are due in 2019. Reform measures such as the Goods and Services Tax (GST), Benami Transactions (Prohibition) Act, the Insolvency and Bankruptcy Code (IBC) and the flagship schemes like Direct Benefit Transfer (DBT) are very major initiatives, Kumar said. "We should now focus on their successful completion except in social sector where some steps need to be taken" on public health and public education system fronts. On criticism that the government has failed to create enough jobs, Kumar said there are a large number of areas which have seen substantial increase in employment opportunities, though they may not be in organised and formal sector. "The number of EPFO accounts have increased, the number of National Pension System (NPS) accounts have increased...(There is a) significant jump in the number of employees within the services sector, especially in tourism, civil aviation, transport and services sector. Let me say that the lack of employment story, I think, is quite exaggerated," Kumar said. When asked whether the Modi government would go populist in its last regular Budget to be presented in February next year, Kumar said the government would do what is right for the country and not with an eye on elections. "This government has never believed in any kind of populism, I don't see any populism coming...I think Prime Minister Modi's instructions are going to be very clear, let us do what is right for the country," he asserted. On overall macroeconomic environment in the country, the Niti Aayog vice chairman said the rating upgrade by Moody's was clear vindication of the fact that the macroeconomic environment in the country is improving, specially with regards to the investor sentiments. 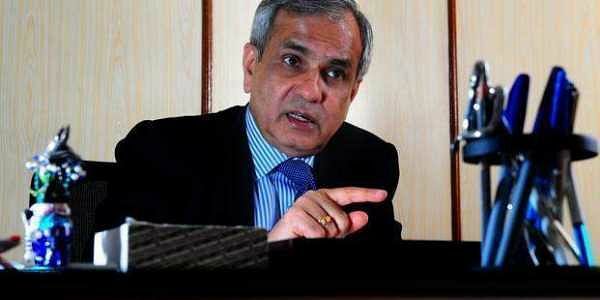 "The only slight concern is the continued weakness of the exports sector, which has not taking off as expected," Kumar said, adding that the rise in current account deficit (CAD) up to 2.4 per cent in the first quarter of the current fiscal should not be a cause of worry because of strong foreign currency reserves. Asked why private investments are not picking up, he pointed out that most people use only the figure of credit offtake on public sector banks (PSBs) as the proxy for private sector investment. "But if you look at credit offtake on private sector banks, it has now risen quite well...Finally also number of initial public offers (IPOs) have been higher than previous year. So if you look at all things taken together, the picture is not at all bad," Kumar observed.